In North America and the British Isles a Woolworth store is just a distant memory, while a new generation of stores continues to trade profitably in Germany, Mexico and the Caribbean. So today every department has been 'lost'. But this page celebrates some of the ecletic mix of unusual items that featured on the shelves in earlier times, but did not make it through to the end. Unlike some of the joke items that appeared in comedy songs over a century of trading, like sixpenny trousers with hinges at the knees, all of these items were best sellers in their day, and were sacrificed when the world moved on. This page remembers some of products and ranges that once graced Woolworth's shelves, but didn't make it through the whole 99 years when the stores were at the heart of the High Street. Because the stores stocked so many things, as well as the most famous departments that were dropped along the way, we've also included some of the more bizarre things that are 'strange but true'! 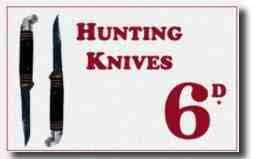 The first British stores, which were spread out in a line across across Northern England from Liverpool to Hull, copied their American cousins in stocking a selection of hunting knives. The media ridiculed the offer, describing it is 'un-British' and informing the 'Yankee owners' that there were no wild bears in Liverpool! They might have been surprised by the level of sales achieved. While the branches in Manchester and Leeds hardly sold any, they proved a hit in Liverpool, Preston, Hull and Grimsby. Dock workers appreciated the sturdy design and used them to cut strapping on boxes and even to gut fish when a catch landed. They were phased out after ten years in the range in 1919. Gas accessories were among the most popular ranges in the early days. At the time most homes still had gas lighting. The products included tiny brass gas tap keys for a penny, rubber tubing by the yard and many designs of gas dome lampshades. These clipped onto the rose at the end of a pipe from the ceiling or on the wall. Their popularity declined as homes had electricity installed between the World Wars. The department was dropped in 1939. 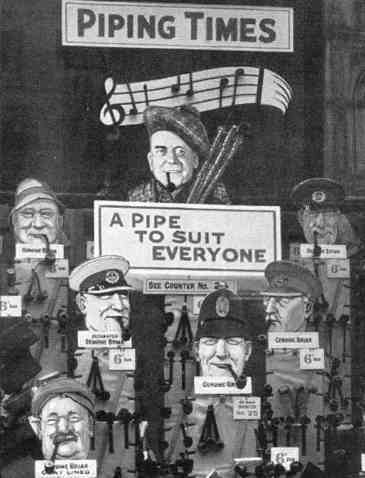 In the first half of the twentieth century tobacco pipes were among the stores' most popular gifts for men. They were considered ideal for Father's Day and made a good stocking filler at Christmas. 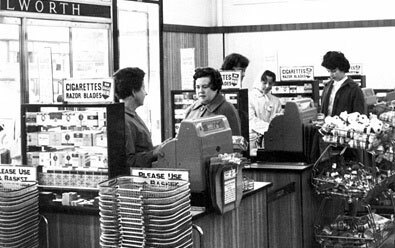 As self-service operation was introduced between 1955 and 1975, the counters were replaced by cigarette kiosks near the main entrance, or by dispensers above the tills at the checkout. 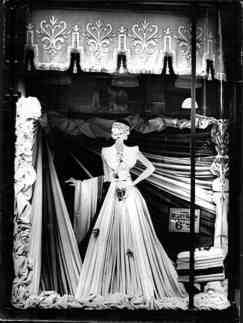 The major pipe makers loaned showcards and special fixtures to any store which wanted to mount a window display. After a week or two these were normally passed on to a neighbouring branch. The Company perservered with an offer for smokers until the late 1980s, when, with the dangers fully known, it was deemed incompatible with the chain's market leadership for kids toys and clothes. Toiletries, perfumes and cosmetics were a key part of the Woolworth offer in Britain for more than seventy-five years, and throughout the 118 years in the Main Streets of the USA. Frank Woolworth had selected Colgate Toothpaste as one of the lines in his very first store in 1879. Staff called the department 'The Toilet' and caused confusion to their friends by telling them that they worked on the toilet! The range enjoyed pride of place next to the sweet counter at the front of the store. It had particular appeal for young people because it kept prices low by selling items in small quantities. This helped the stores to compete with Boots the Chemist, with exclusive smaller versions of popular branded products, sold for a penny, threepence or sixpence. 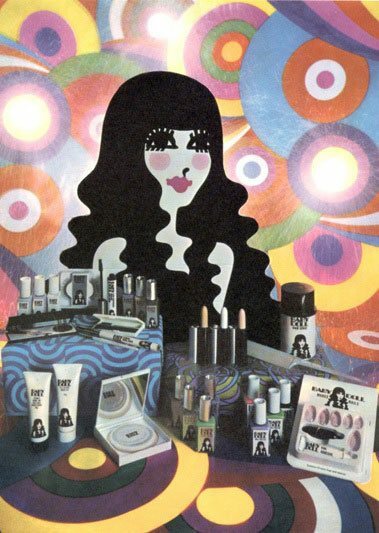 Half-length lipsticks, miniature bottles of perfume and small bars of scented soap allowed girls to experiment with different looks without breaking the bank. Over the years the chain built a number of exclusive own label cosmetic brands. Its Evette range, made by E. R. Holloway of Lavenham, Suffolk, had a very strong following for many years, rivalling SnowFire products from before the war. One range was an overnight sensation when it launched in the 1960s. The bright packaging of Baby Doll Cosmetics hit the spot with teenagers. It was marketed in youth magazines, and again used small sizes to keep the price low. The marketing material has proved appealing in recent years as a microcosm of sixties pop culture, sparking happy memories for people who have recently retired. Initially the new owners intended to retain cosmetics and a small selection of toiletries as part of a range called 'Looks' when the business was reshaped in the Eighties. They were dropped after the parent company bought Superdrug and resolved to expand it by giving it 'surplus' Woolworth space. The range made a brief return in a few High Street stores and in the out-of-town Big W branches between 1999 and 2003. Another 1930s range that "retired" was utility cloth. It was woven on the looms of the Lancashire mills and sold for sixpence a yard (approximately 3p per metre). It was ideal for customers who made their own clothes, and capitalized on the stores' high sales of DuBarry paper patterns. At the time the sixpenny price limit made it impossible to sell made-up adult outerwear. The patterns and material encouraged customers to make things themselves, which became a popular evening pastime in the days before television. When the price limit was dropped in 1940, the stores continued to sell patterns and yarn, but had the linen made up into garments, commanding prices of up to five shillings (25p), ten times the old maximum. In the 1960s the City Centre stores were extended and their range was broadened. These mammoths aimed to compete with department stores, and carried an extensive haberdashery selection, including many fabrics sold by the yard. It was tested in a huge new store in Harlow, which had taken on premises in the new town that had been developed for the Co-Op but rejected at the eleventh hour. Sales were encouraging, prompting similar displays when the Aylesbury, Ipswich and Wolverhampton stores were extended. When plans were announced to build the Mander Centre in Wolverhampton, Woolworth took the opportunity to transform the Dudley Street branch into one of the largest in the world. In part this was an act of rebellion after being forced by the parent company to launch a chain of out-of-town Woolco stores, when the Board believed there was greater potential in City Centres. Each of the three salesfloors was larger than anything tried up until 1960, offering space for a much larger range. 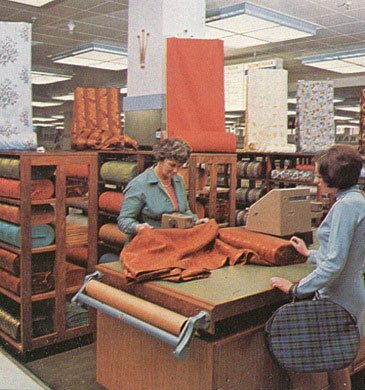 As well as Haberdashery and fabrics, its floor coverings department sold carpet from the roll, alongside a selection of furniture, fitted kitchens and domestic appliances like fridges and washing machines. But the biggest change was a huge food hall, offering a comprehensive supermarket range, including the first fresh fish counter, a butchery, bakers and a well-stock delicatessen. It also carried a full range of fresh fruit and vegetables. 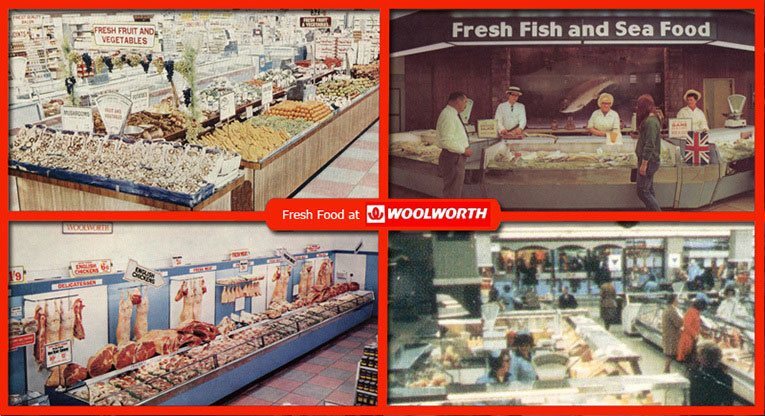 Woolworth had carried groceries since 1937. 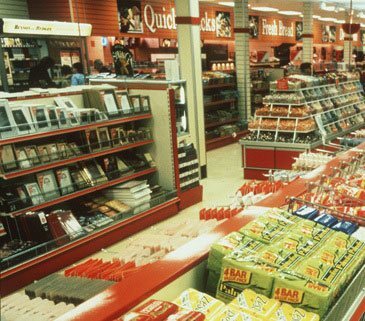 It had pioneered self-service supermarket-style shopping in the late 1950s, investing in elegant, specially commissioned wooden shelf units with a brightly polished melamine finish, which created a slick, modern look. Over time it had added wines and spirits, where space allowed, along with in-store bakeries and personal service counters for meat, cheese and cakes. 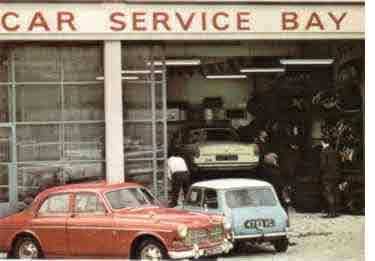 During the 1970s and early 1980s the range proved highly controversial at Board level. While some Directors considered it essential to drive customer traffic, others challenged the low margins and high labour costs, preferring to fill the space with general merchandise. As a result the offer lacked conviction and did little rival the supermarkets, which expanded rapidly. When the business changed hands in the 1980s it had a brief dalliance with extending the food range, before dropping it altogether. It made a brief return as part of a convenience drugstore format in 2000, before being abandonned again. Some of the out-of-town Woolco stores, which traded from 1967 until 1985, included motor servicing and a tyre bay and exhaust replacement service. Specialities inside included a Travel Agent, Opticians and even a Property Shop. 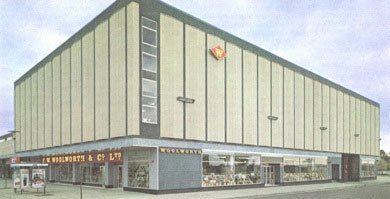 The Woolco hypermarket in the Ards Centre, near Newtonards in County Down, Northern Ireland was the only British Woolworth ever to have its own filling station. As the leading stockist of items for the home, Woolworth stores traditionally carried bold displays of soap powder and washing-up liquid, as well as a comprehensive selection of cleaning materials. These were normally displayed next to the displays of buckets, bowls, baskets and bins. The low margin on detergent prompted a re-think when the business changed hands in the 1980s. 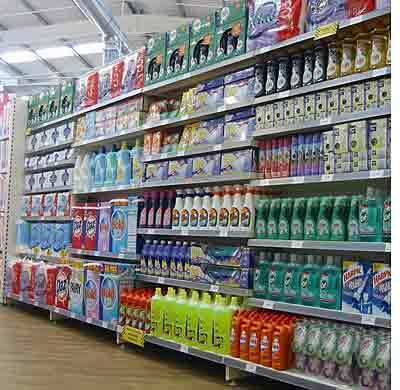 Over time the market share of soap powder had declined as shoppers had taken advantage of the convenience of free parking at the larger supermarkets, which made it easier to carry such heavy items home. Lower buying power made it hard to compete on price, so the range of lighter plasticwares was extended and enhanced, while the powders and aerosols were dropped. Like any good soap opera, the storyline came around again. In 1999 Kingfisher announced plans to open huge out-of-town variety stores. The chain, baptized 'Big W' and managed Woolworths, opened fourteen years after the parent had sold Woolco off cheaply to Dee Corporation, after describing it as "non-core". Once again soap powder, detergent and cleaning products had a starring role. It had been intended that these would form part of an Asda offer in the stores, until that "marriage of value champions" fell through when the bride-to-be ran off with Walmart. A smaller selection of detergent was also included in the range of the short-lived convenience drugstore format Woolworths General Store, which was opened in partnership with Superdrug in 2000. This time the bride was sold in an arranged marriage to Kruidvat, forcing the stores to return home to the main chain. But good sales kept the household cleaning in the out-of-town range until the shutters fell for the last time at the end of 2008. Live pets were one of the most unusual ranges to be carried by Woolworth. The American parent built a strong reputation for petcare, publishing a series of popular videos to accompany the animals sold in some its larger branches for much of the twentieth century, right into the 1990s. The British offer was more limited. Pet Departments were introduced to the range of the largest stores in the 1930s and abandonned as the company progressively implemented self-service from the late 1950s to the early 1970s. 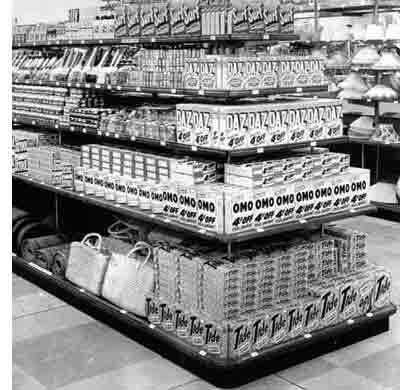 Some former customers still remember the displays in the new superstores of the post-war years. 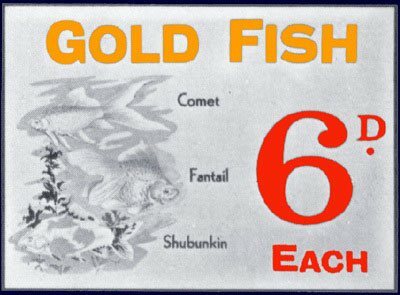 Gold Fish were a popular Christmas present in the 1930s, with many children handing over sixpence for their selection from the large tanks in-store, before waiting as a sales assistant patiently caught it and placed it in a jam jar to take home. One retired colleague (who worked for Woolies for more than 40 years) shared fond memories of working on the department while learning the ropes as a Management Trainee. Describing the sales of canaries, his Manager said "they just fly out", though despite good sales he also described the tortoises as "very slow"! 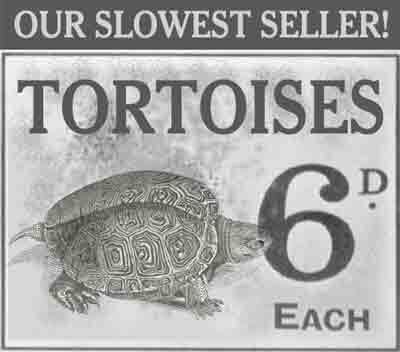 One of our correspondents bought a tortoise at Woolworths in the 1930s, also for sixpence. Cecil remains alive and well, having outlived the store chain that sold him! Another long-lived tortoise, perhaps a relative and certainly bought at around the same time, recently featured in a 'strange but true' programme on Channel Four television. Finally we couldn't end our whiste-stop tour of the lost departments without putting the wool into Woolworth. For years staff on the haberdashery department had to laugh each time a customers joked 'How much is that Wool worth, Miss Woolworth?' For years the answer was sixpence! Vast quantities were sold before World War II, when many customers made their own clothes. At the time the stores sold patterns for everything from hats, scarves and gloves to skirts and jackets, as described in our Fashion Gallery. 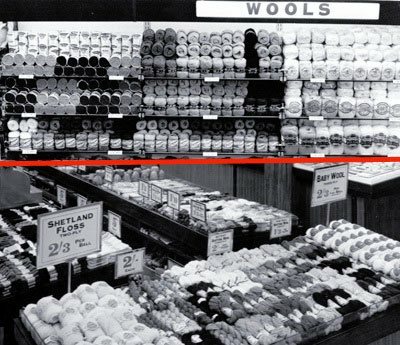 When the business changed hands in the 1980s, the new owners intended to retain wool in the range. In 1985 The colour assortment was updated, and stylish new packaging was designed to accompany a new own-brand name 'Abigail'. After initial success sales began to dwindle as fewer people took up the pastime. From 1990 onwards the range was only displayed periodically at sale time, rather than all the year round, and disappeared altogether in the 21st Century after the haberdashery range was trimmed back to make room for more toys and childrenswear. Woolworths and Ladybird are Shop Direct Group brands.